The Cisco Conference Stations combine state-of-the-art speakerphone conferencing technologies with award winning Cisco voice communication technologies. 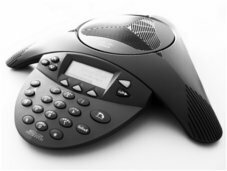 The end result is a conference phone that offers superior voice and microphone quality, with simplified wiring and administrative cost benefits. Building Block Computers provides both New and Pre-Owned Cisco Conference Phones. All makes and models are available and all equipment comes fully tested and backed with a 90-Day Warranty.